Clark Hill PLC Of Counsel David G. Ries discusses data security, Mandiant’s M-Trends, and Verizon’s Data Breach Investigation Reports. In the aftermath of the Panama Papers data breach many law firms have become hyper aware of their digital security risks. With the number of breaches on the rise what can lawyers do to keep informed of the most pertinent risks facing legal practitioners? 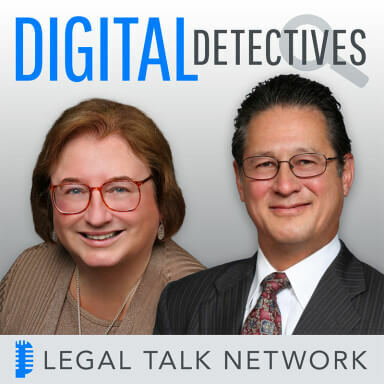 In this episode of the Digital Detectives, hosts Sharon Nelson and John Simek speak with Clark Hill PLC Of Counsel David G. Ries about data security, Mandiant’s M-Trends, and Verizon’s Data Breach Investigation Reports. David opens the interview with an explanation of what these reports are (summaries developed by security service providers on data breach trends during the past year) and talks about how they help to organize collected information for ease of use. He then analyzes the subtle differences between the two reports, like the way they define terms like data breach and security incident, and gives some insight into the ways each company acquires their data. David also covers the top three key findings provided by each report and gives examples of how this information can be invaluable to law firms seeking to shore up their security shortcomings. He closes the interview with his major takeaways from this year’s’ reports and tips for law firms on how this research can aid in strengthening your comprehensive cybersecurity program. David G. Ries is of counsel in the Pittsburgh, Pennsylvania, office of Clark Hill PLC, where his practice includes environmental, technology, and data protection law and litigation. He is a co-author of “Locked Down: Practical Information Security for Lawyers” (American Bar Association, 2016) and “Encryption Made Simple for Lawyers” (American Bar Association, 2015) and regularly speaks and writes nationally on cybersecurity topics.